The lack of a clear campaign agenda for Myanmar’s National League for Democracy in the 2015 elections has slowed the subsequent reform process. But with some changes now underway, the international community should remain patient. Myanmar started on a road to fundamental political reform through a peaceful transfer of power in early 2016. 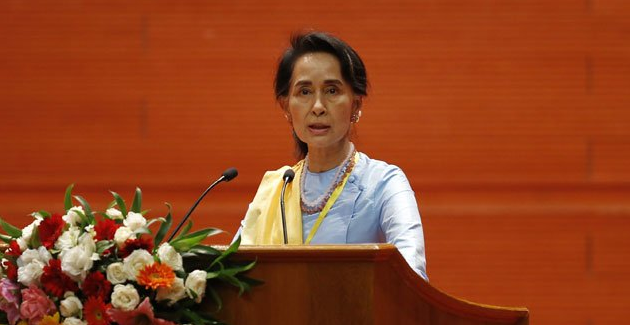 The transfer was from the previous military-led regime to the National League for Democracy (NLD) led by Aung San Suu Kyi, whose leading role in the new government has not been challenged. More than a year late, Myanmar’s transition from military rule remains far from complete, but it has been going in the right direction. Whether the transition will be to genuine democracy remains to be seen, but it certainly involves fundamental political changes, some of which have yet to bed down. True changes in cultural values are also uncertain, but these undoubtedly need longer to take root. 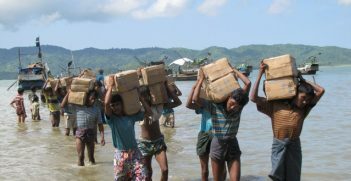 Myanmar is ruled through a power-sharing arrangement under the flawed, but widely accepted and unamended, 2008 constitution. The army retains absolute authority in national security, internal security and border affairs (including in Rakhine State, where the Rohingya crisis emerged). This has meant continued oppression by the Myanmar Army, which is still fighting what it calls “insurgencies” in some areas. However, Myanmar’s overall circumstances are probably better than ever before. New reform legislation to sweep away ‘old ways’ has been limited in areas outside economic policy but has included the restoration of freedom of assembly (allowing strikes and protests) and ending print media censorship. Some changes to the structure of government have been implemented, but perhaps not enough. The changes have created few opportunities for Myanmar’s young people, and there has been little real progress on rule of law reforms. The judicial system remains corrupt, unfair and inefficient. The transfer of authority to Myanmar’s 14 states after 2011 remains incomplete and has not been accompanied by the necessary funding, staff or expertise. Effective federal mechanisms have not yet been prescribed or properly debated. They will need to be designed to fit Myanmar’s circumstances, but insufficient discussion has occurred on suitable federal options for Myanmar and development gaps have not closed. Attempts to promote economic reforms have been only partly effective; US economic sanctions were not lifted until September 2016. Thus, international financial institutions have not been fully empowered to assist Myanmar as part of a nationwide development strategy. Furthermore, the roles of former regime business cronies are unclear, creating more uncertainty. Lacking a clear policy direction has been a major problem for the NLD, which decided to avoid making specific public commitments before the November 2015 elections. Notwithstanding the mandate delivered by its convincing election victory, the central government has been slow to adopt new nationwide policies in many areas. Finalising a national peace process became the political priority, quite correctly, but this was always going to take a long time; differences among ethnic groups about power-sharing arrangements had never been adequately settled. In addition, there were no clear proposals or guidelines for nationwide judicial reforms. Before its election victory, the NLD announced nothing on land reforms, although this now seems to be underway. Nor did it lay out concrete policies regarding important areas such as climate change, control over national resources or water management arrangements. As a result, there was generally more uncertainty than necessary over government policies and priorities. Managing popular expectations, domestically and internationally, has been a major challenge. Despite domestic support for reforms, few detailed policies have been issued by the NLD government. This was deliberate, but seems to have complicated matters and may delay reforms. 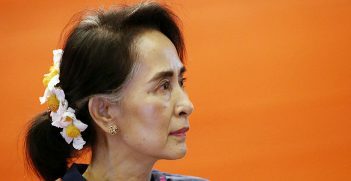 Aung San Suu Kyi’s retention of a veto over all policy development has now been identified as a problem. Still, international observers will need to be patient; most reforms in Myanmar will need time to become embedded and adjusted to local conditions. Myanmar has been unusually receptive to international ideas and suggestions during its political transition. But ultimately any choices and decisions must be made by the Myanmar people and their legitimate representatives. Large donors, including the UN Development Programme, have already made multi-year commitments to support reforms beyond the 2015 elections, despite some claims that donors were not prepared to make such long-term commitments. However, it is not for the United Nations to direct Myanmar’s adjustments to its political arrangements. Regional politico-economic entities will play a large role, beyond normative changes, but most organisations with possible roles (ASEAN above all) lack political strength and have had few regional successes. Myanmar could direct more attention toward completing infrastructure links with the rest of Asia for both socioeconomic and strategic reasons. Looking ahead, reforming Myanmar’s institutions will be critical but difficult. It will take time to foster domestic consensus, especially where sensitive political risks are involved. In Myanmar, institutions such as the army, the parliament, the bureaucracy, the courts, educational institutions and the media need to be more flexible, more responsive and more collegiate. In Myanmar, different groups and interests need to become more cohesive, less competitive and more collaborative. They need to develop a sense of ‘whole of country’. These tendencies are not necessarily commonly found in Myanmar, but they can be learned. Techniques of greater inclusiveness, greater responsiveness and greater mutual support need to be pursued more deliberately. Myanmar’s leaders need to stop focussing on whether one group benefits more than others from any one policy. Australian expertise is generally viewed positively and could be much more useful for Myanmar than it is now, but that would require a greater aid commitment. Ultimately, Myanmar needs bold political leadership and policies that gradually wind back the army’s dominant role. The clear-cut election victory achieved in November 2015 by the NLD should be a sufficient mandate. Trevor Wilson is a visiting fellow in the Department of Political & Social Change at the Australian National University. This article is based on a presentation by Trevor Wilson to AIIA NSW in Sydney on 30 May 2017. 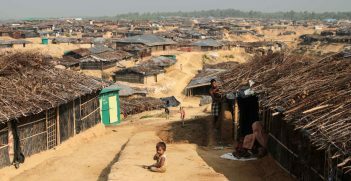 Myanmar's brutal military crackdown on its Rohingya minority shocked the world. As the refugees enter 2018 with their future still in limbo, has the international community finally decided on what actions to take?